Wings re-sign Nyquist 2-years on the cheap! Detroit has re-signed energetic winger Gustav Nyquist for 2 more years at $950,000 per season according to their website. That is a cheap deal for a player of Nyquist’s quality who had a great playoff campaign with 5 points in 14 games. DETROIT – The Red Wings are all ready for training camp after agreeing to a two-year contract with forward Gustav Nyquist, who was a restricted free agent. 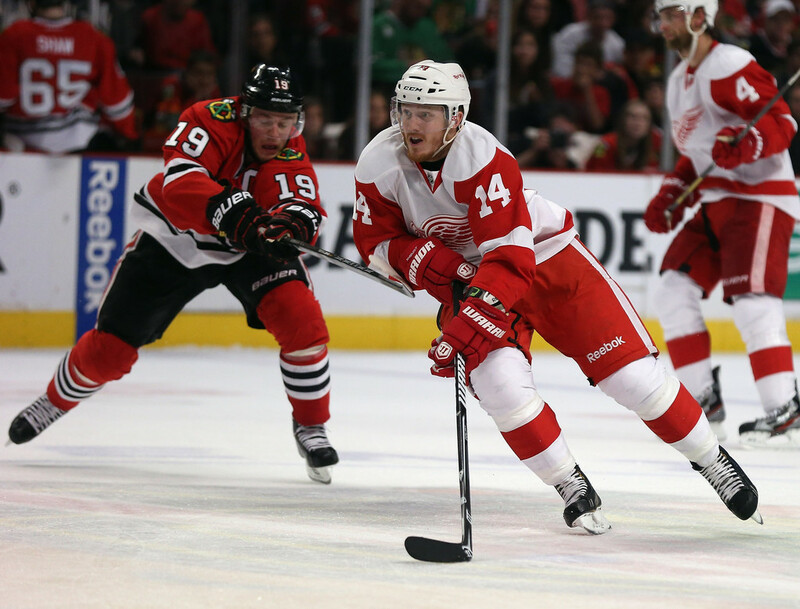 Nyquist was the last of the Red Wings’ free agents to re-sign with the club. Detroit now has 15 forwards signed to one-way contracts, and that doesn’t include Tomas Tatar, though he is out of AHL options and still must clear waivers to be send down. In all, Detroit has 25 under contract. According to a report on NHL Radio, the Nyquist contract is worth $950,000 per season. It is nice to see a player taking a lower salary to stay with a team he likes. A few franchises could learn a lot by understanding why Gustav Nyquist and Joakim Andersson have taken such reasonable deals! Don’t Look Now But Timmy T is Starting to Look Like Timmy T Again.